As part of our guide to the green card process and green cards generally, we have a section on humanitarian green cards. We see two ways to split the humanitarian green card category. The United States can adopt a humanitarian approach to those people who want to enter the country because of persecution. It can also adopt a humanitarian approach to those people who have entered the country. We covered the humanitarian approach to those entering the country in our guide to asylee and refugee green cards. In this article, we are covering the options available to people present in the United States. In considering this category we should carefully define who that includes. The United States is home to many people without immigration status, illegal immigrants for Us Green Card Process services. These people usually enter the United States without inspection (EWI) or came to the United States on a visa and overstay the terms of the visa. 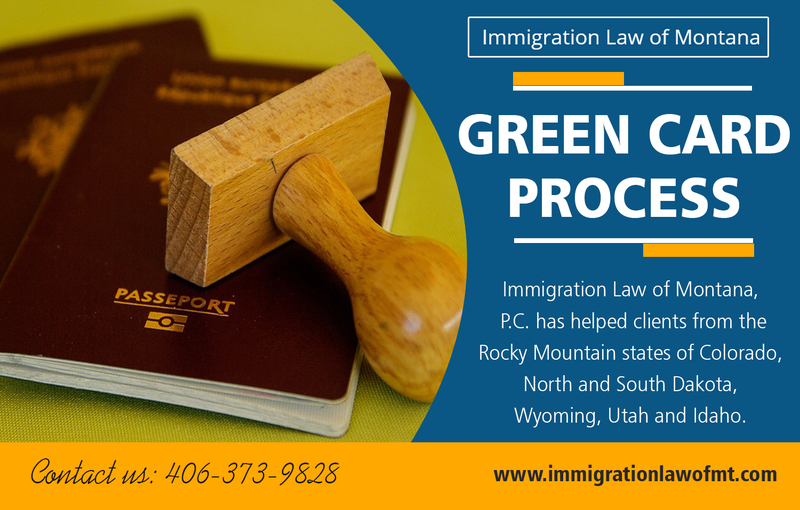 In many cases, if you have a lawful entry even if you have overstayed, you may possibly have a path to a green card while remaining in the United States. People who entered without inspection are, with few exceptions, ineligible to receive lawful permanent residency, a green card in the United States. In some cases, many have a path to a green card, but that requires leaving the United States and processing for a visa at a consular in their home country. This leaving triggers the unlawful presence bar that requires the visa applicant to qualify for waivers. From this analysis, it follows that one way to use the term humanitarian green card Online would be to permit those people who entered without inspection (EWIs) to obtain lawful permanent residency in the United States without leaving. No general method exists of obtaining lawful permanent residency in the United States for those people who are EWIs. Many people campaign to change the law so that there is a way. These campaigners usually argue for this position using the catchphrase “comprehensive immigration reform.” Since 1988 these campaigners have been unsuccessful. However, that does not mean that the United States has failed to provide any Green Card Process Steps for those already present. Instead, it has crafted two narrow approaches that work well. Both these approaches are worthy of their own articles and have them. Here all we do is briefly describe them. Deferred Action for Childhood Arrivals (DACA) was instituted in June 2012 through Pres. Obama’s executive action. For more detailed information about DACA, please consult our guide. Initially, DACA delivered a work permit, an Employment Authorizing Document for certain people who had arrived here early without inspection. Later, the USCIS added the ability to request travel authorization, Advance Parole, for certain special cases of DACA recipients. In next DACA development, the Board of Immigration Appeals decided that a short trip out of the United States using Advance Parole would not trigger any unlawful presence bars. That trip would also provide the traveler with a lawful admission. This decision completed the route to a green card for DACA recipients. Once they received Advance Parole and made a trip out of the United States and returned, they were now in lawful status and could adjust their status in the United States if they were the beneficiary of an approved I-130 immigrant visa. Parole in Place (PIP) was instituted in November 2013 through executive action. For more detailed information about Parole in Place, please review our Green Card Application Process guidelines. The USCIS issued regulations allowing qualifying military family members who were EWIs to file for parole, admission into the United States. The idea matches the name. The EWI family member would be paroled were they were located in the United States. This parole process would deliver him or her lawful admission. With the lawful admission, the USCIS provided evidence of that and I-94 card. If the qualifying family member had an approved I-130 immigrant visa petition, he or she could now adjust status in the United States and receive a green card. Humanitarian green cards can be complicated. Do you qualify Green Card Process US to receive one? We can help you understand whether you are eligible for either Advance Parole if you are a DACA recipient or whether you are eligible for Parole in Place.